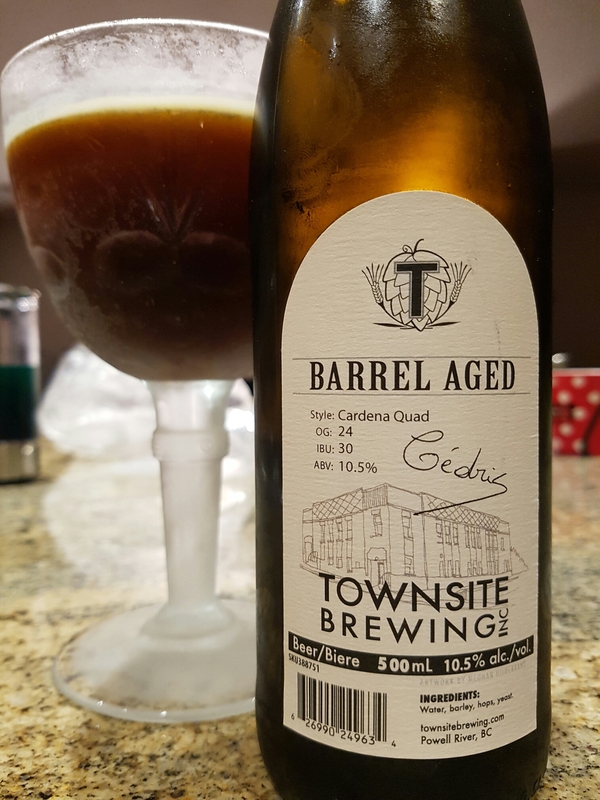 Cardena Quad Barrel Aged – Townsite Brewing Inc. (Powell River, BC, Canada) | Justintoxicated. Visual: Pours dirty muddy brown with with a dissipating very small head, ringed retention w/o island, a few bubbles here and there. Finish: light whiskey, manageable alcoholic heat, residual big sweet malts. Summary: Decent flavour, but pretty heavy and cloying halfway through. It doesn’t quite have the mouthfeel or roundness to keep it cool – too straight and brusque.